In February, I had the incredible opportunity to attend my first conference (through ANWA (American Night Writer's Association)). I went to classes, pitched my novel to an agent and an editor (and got requests from both of them! Woo hoo! ), and met a bunch of really neat people whom I can't wait to see published one day. It was a neat experience all around, and I'm still reviewing the notes from the classes I attended so I can apply the appropriate principles to my writing, my brainstorming, my marketing, etc. As I've gone through my notes, one message has stayed with me: know your audience. This message had one important caveat: You are NOT your target audience. But wait, you may be thinking, I read YA voraciously! I know and read all the best sellers, and I talk to my Young Women at church about every book we read! I KNOW THIS GENRE, dang it! Let me share an example about how you're not your target audience: if you write YA (like I do), and you dislike Tumblr or Instagram or other like social media sites, don't assume that your readers feel the same way. In fact, these very youth are probably so obsessive in their love for these things that they've been grounded from their phones and are quite possibly going through serious withdrawal of the very things you hate right now. From a marketing perspective, if you write YA, you need to be active in social media. You need to be annoyingly present on twitter and you probably even need to navigate the scary, yucky Tumblr waters to get your name out there. 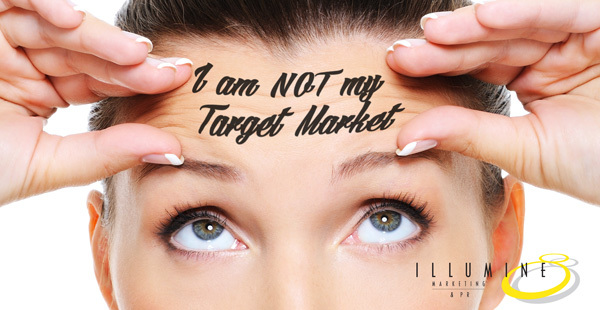 So as much as you hate that junk, you have to remember that you are not your target audience. When it comes down to it, we have to remove ourselves from the group for whom we're writing so that we can write the book or article or short story that will reach that group. What do you think? How do you separate yourself from your audience when writing? How do you know what your audience wants? Very interesting! It is so easy to write what we like, and just assume everyone else is going to love it as much as we do. As I attempt to navigate the waters of a YA novel, something that has helped me is to look through and read my journals of when I was actually that age. We were all that age once- long, long ago! Oh, I love that idea! I kept journals from that time, too, and as much as I groan over the content, I think you're absolutely right! Hmmm...this is interesting. Very important to think about, though.